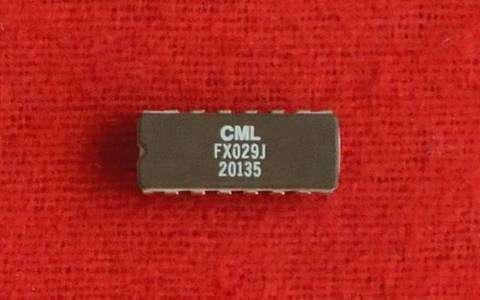 The FX029 single-chip Dual Digitally Controlled Amplifier Array can replace manual audio-level controls in most electronic applications including radio and line communications systems. The FX029 comprises two digitally controlled gain and attenuation stages, with each stage having 48 distinct gain steps (range; between -48dB and +48dB in 2dB steps) plus a MUTE state to powersave the addressed section. Minimum current drain results from muting both sections. Both gain stages have selectable inputs. This switching allows for selection of three different input signals to stage 1 and two to stage 2. Stage 1 also provides output switching. In addition to the two digitally controlled gain stages, there is a general purpose, uncommitted inverting amplifier; the gain of this particular amplifier is component controlled externally using negative feedback. Control of each gain stage section is accomplished through the serial interface. All switching is accomplished using controlled rise and fall times, thereby ensuring no annoying transients (clicks or pops). 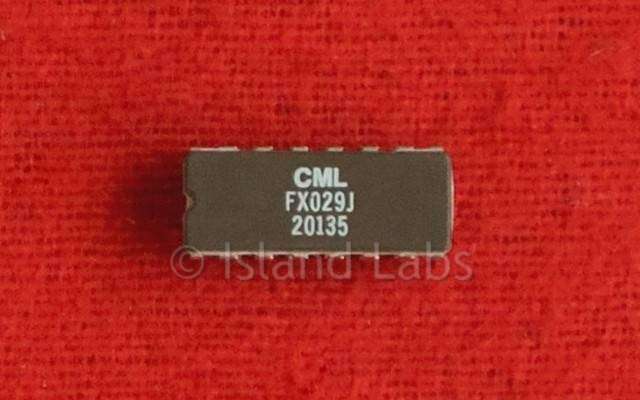 The FX029 requires a single 5 volt supply and is available in compact cerdip and in small outline packages.